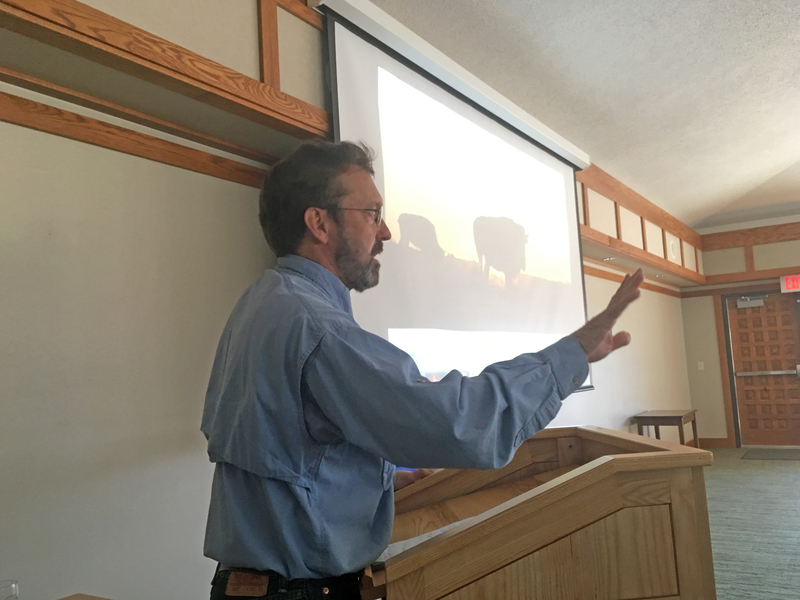 On Saturday, March 18, we held our 11th annual spring education symposium entitled Living the Land Ethic in Kansas, and learned how much we have to celebrate in Kansas. 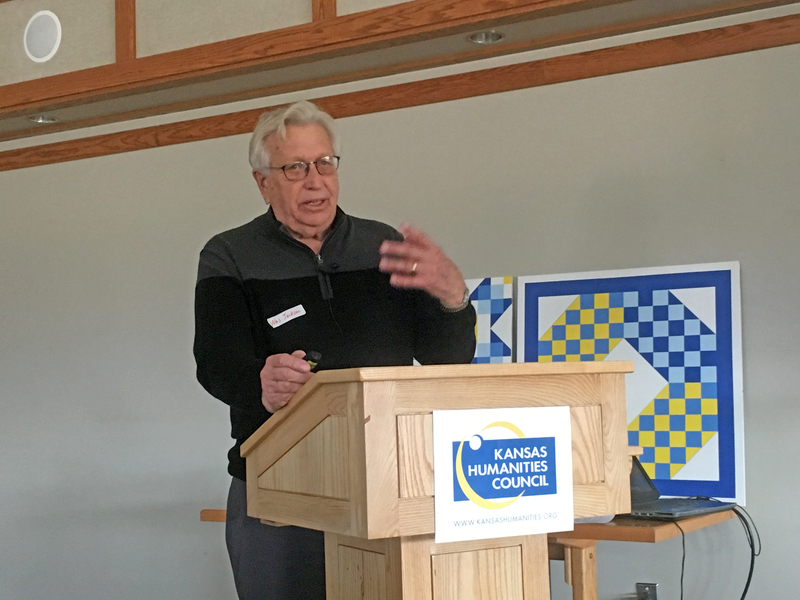 This symposium was many months in the making and it went smoothly thanks to our four staff, help from a number of board members, the assistance of many volunteers, and underwriting support from Kansas Humanities Council. The speakers were top-notch and their messages were filled with immense knowledge and passion. Those among the 85 registered attendees were literate, engaged, and full of great questions. The homemade baked goods for breakfast, Lorna Harder’s venison stew for lunch, and nice day outside to enjoy during breaks all helped round out a perfect day. 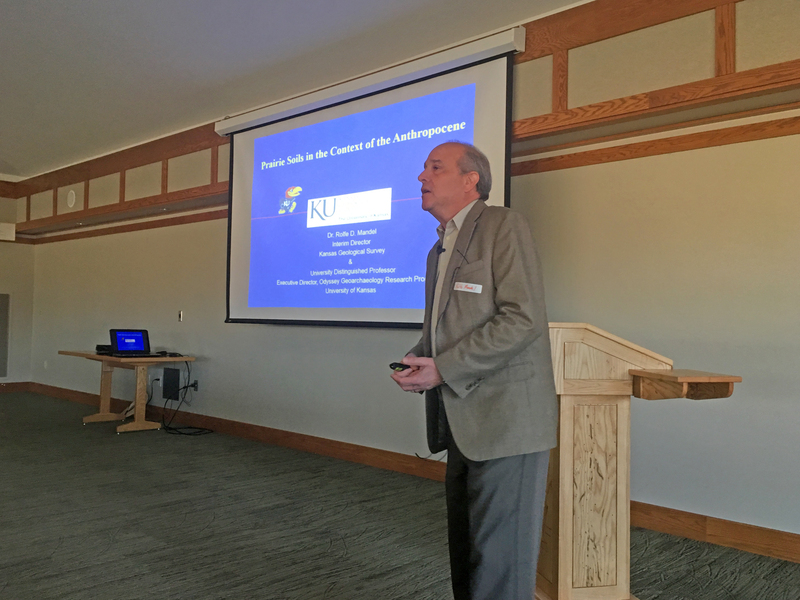 I gave a brief introduction of how this symposium developed as part of our year-long Dyck Arboretum 35th anniversary celebration with a focus on Aldo Leopold’s Land Ethic chapter in his famous book A Sand County Almanac. 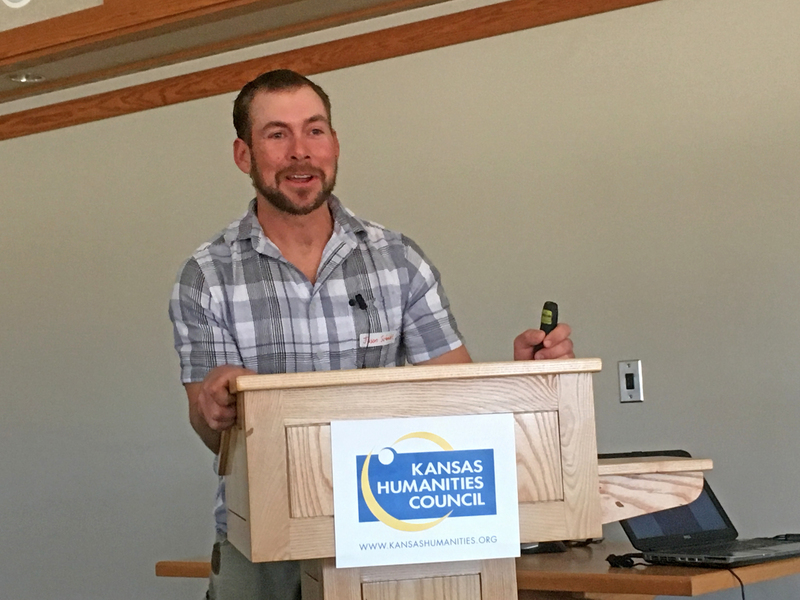 We then heard presentations about the essential Kansas natural elements of “The Land” from educators and writers, Rolfe Mandel (soils), Craig Freeman (vegetation), and Michael Pearce (wildlife) and how these elements are foundational to our Kansas natural history, agriculture/ranching-based economy, food systems, and land-based enjoyment and recreation. Land stewards Jason Schmidt, Pete Ferrell, and Brian Obermeyer told their stories of how being a land caretaker is not only a way to make a living but that it is part of a cherished way of life through which one strives to sustainably pass along stewardship responsibilities to future generations. 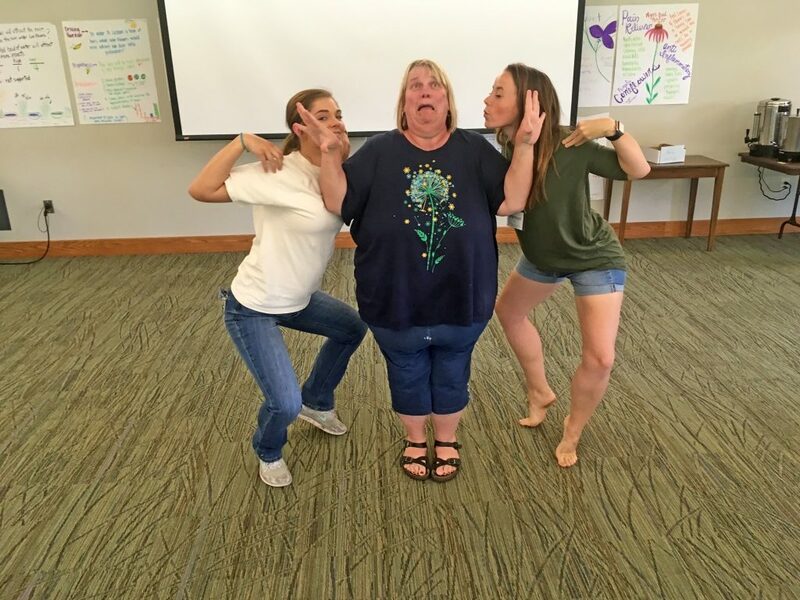 Elementary school teacher, Erin Dowell explained how critical it is to instill a land ethic in our children that will be our future land stewards. 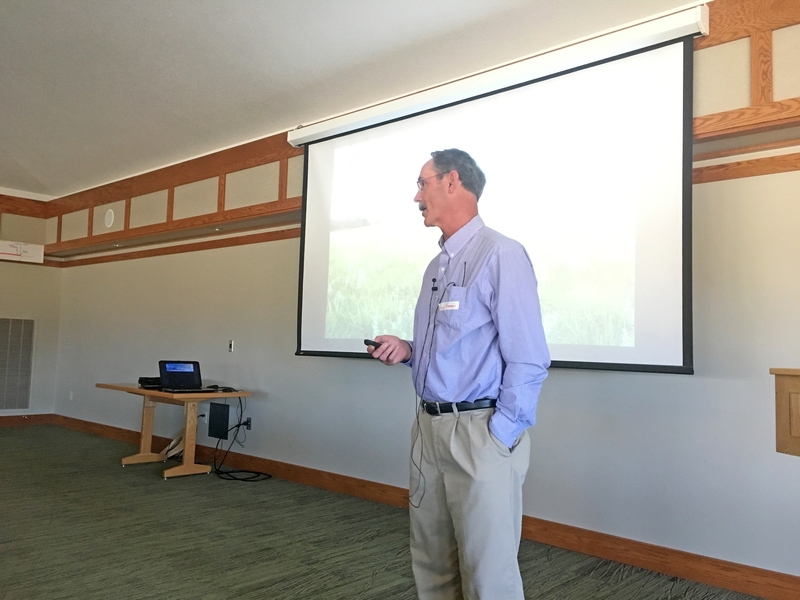 And visionary, Wes Jackson, rounded out the day with a presentation about how we as agricultural agents must steward the land as part of a living ecosphere. 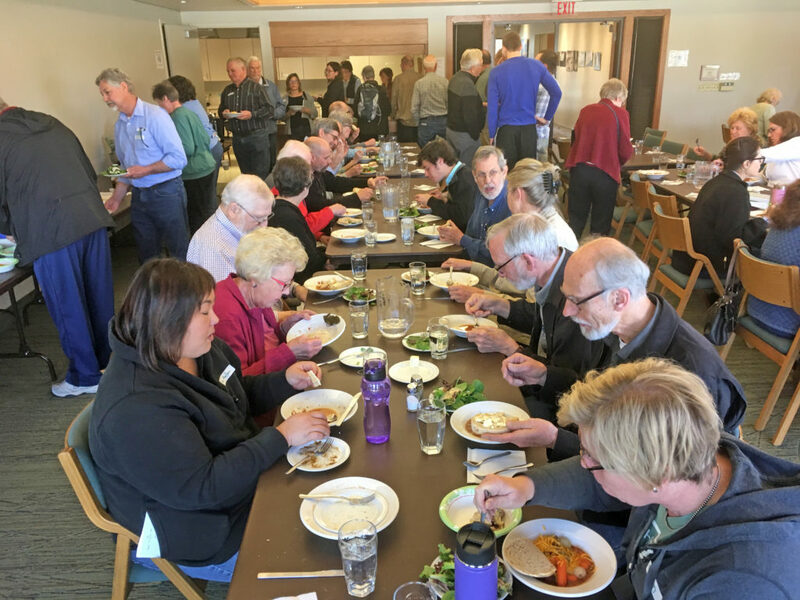 The day was filled with dialog and rich with a variety of science as well as humanities topics about the important interplay between the land and people. Thank you to all participants! 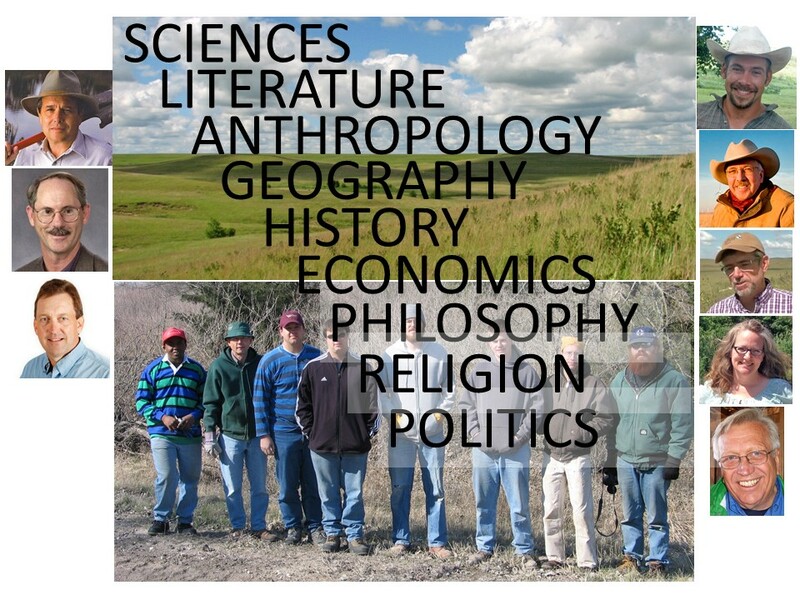 When I think about what Kansas means to me, I think about the land. 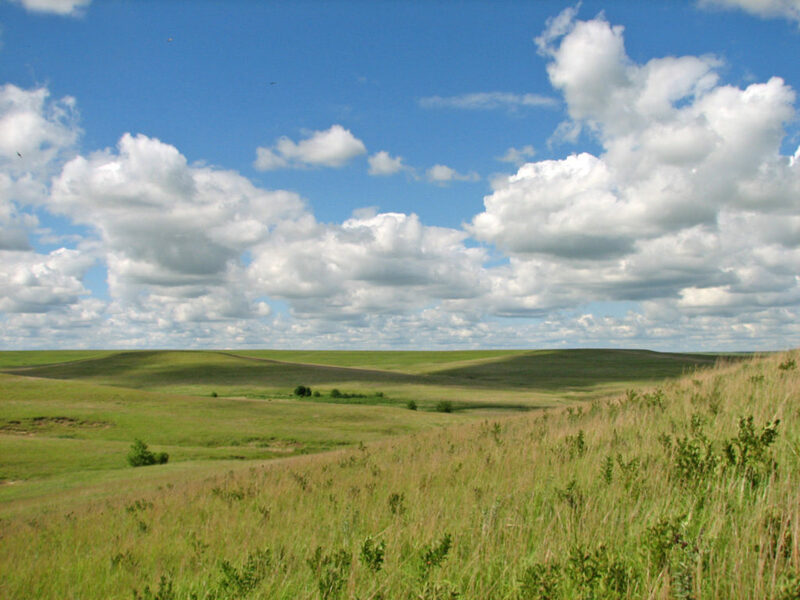 I think about the Kansas prairie; the soils that support it and the wildlife it supports. I think about the water that flows through it and I think about the sky above it. I think about the food it produces. You and I are important parts of this community too. 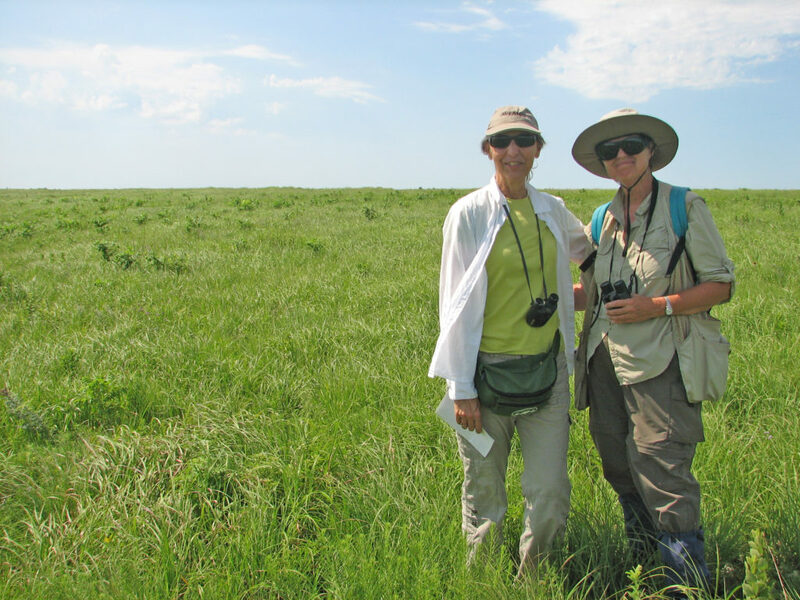 On Saturday, March 18, we will celebrate and learn more about these rich Kansas connections of the land including its soil, prairie, wildlife, and people, and how they all interact. 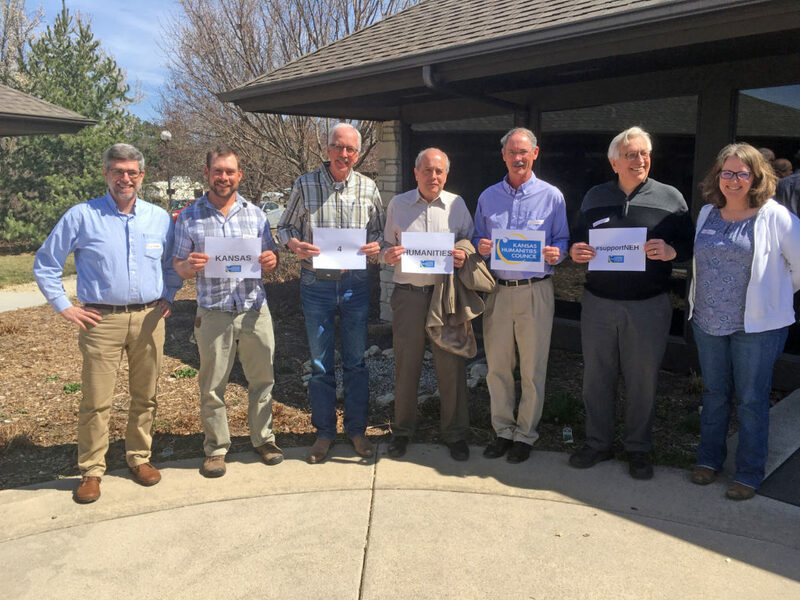 An all-star cast of interpreters and stewards of Kansas (Rolfe Mandel, Craig Freeman, Michael Pearce, Jason Schmidt, Pete Ferrell, Brian Obermeyer, Erin Dowell, and Wes Jackson) will be assembled for our 11th annual spring education symposium. 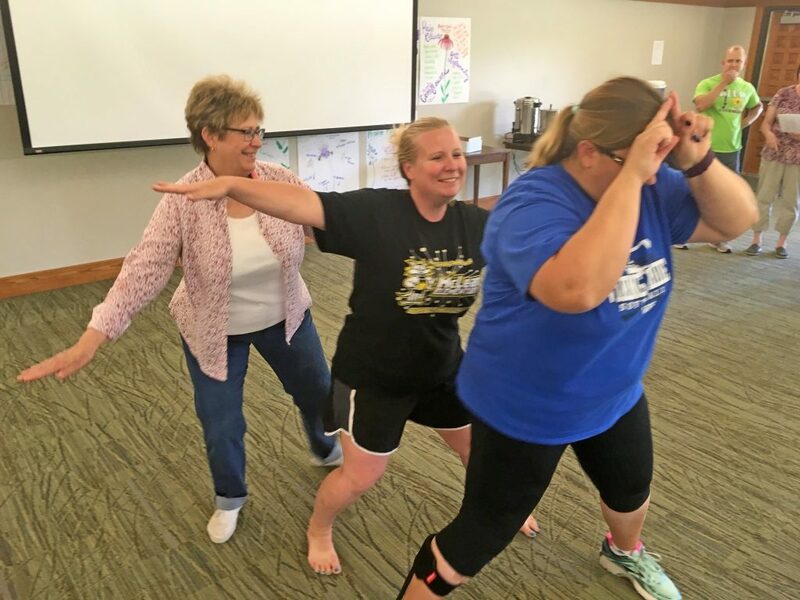 We have an early bird discounted fee if you sign up by March 9. See the following link for more details. Come join us! We observed the winter solstice yesterday on December 21st. 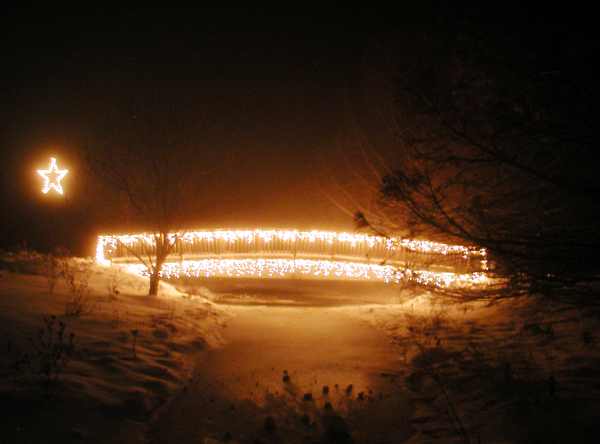 I shared my thoughts on this beloved time in a winter solstice blog post last year. Whether it is the rotation of distant planets, stars and moons around one another or the episodes of weather, plants and animals closer to home, observable natural cycles are abundant around us. 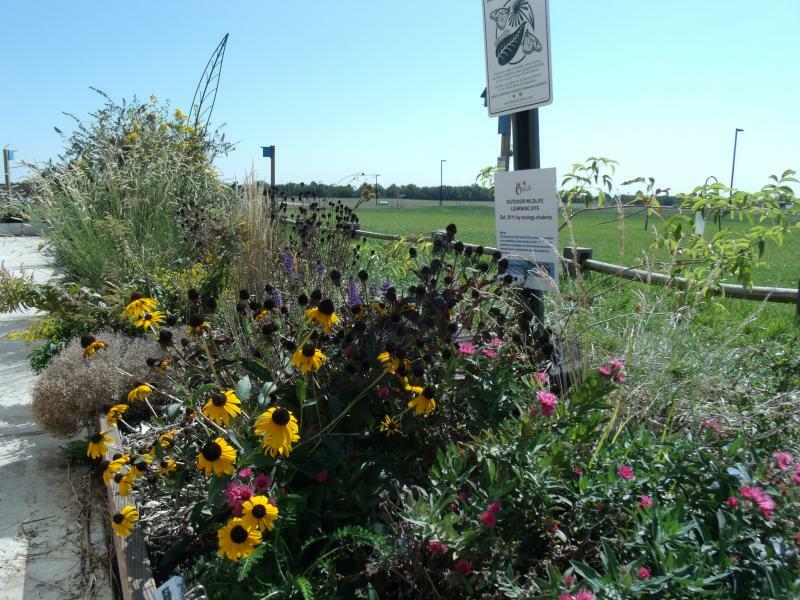 We will be focusing on the closer to home cycles for the coming calendar year at Dyck Arboretum of the Plains. 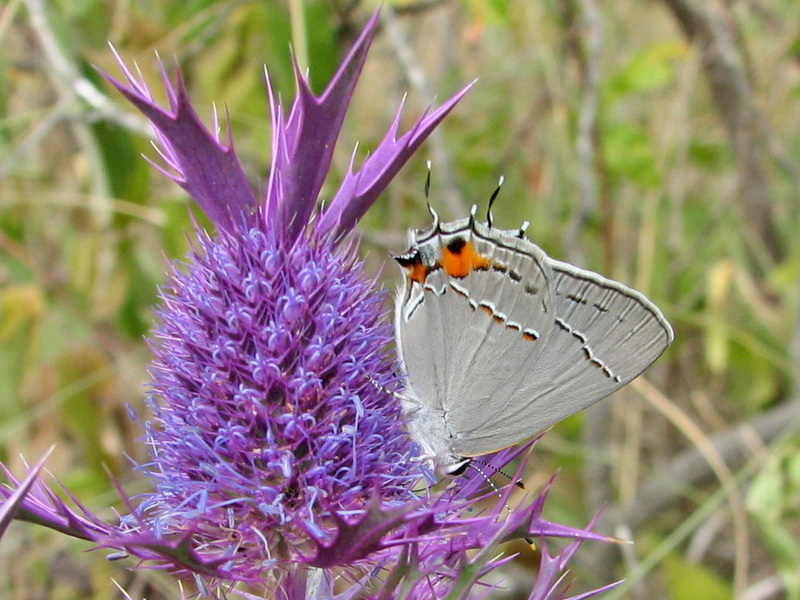 Earlier this year I introduced the importance of “phenology” in a blog post. Now we are now ready to practice and enjoy this ritual in earnest over the coming year here on our grounds. 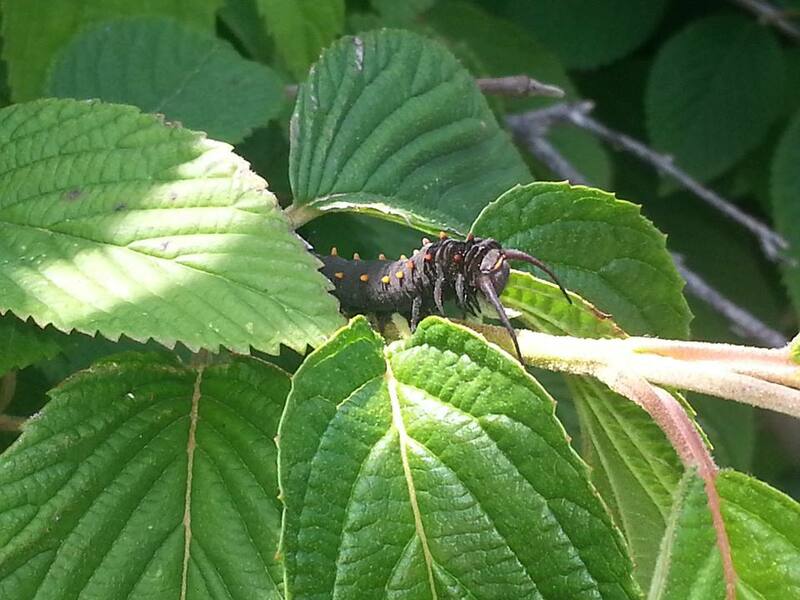 We will be observing and documenting events related to weather, plants, and animals at Dyck Arboretum. With the help of visitors, we will record precipitation amounts, presence/absence of migrating bird species, notable events with other forms of wildlife, flowering and seeding of plants, and more. 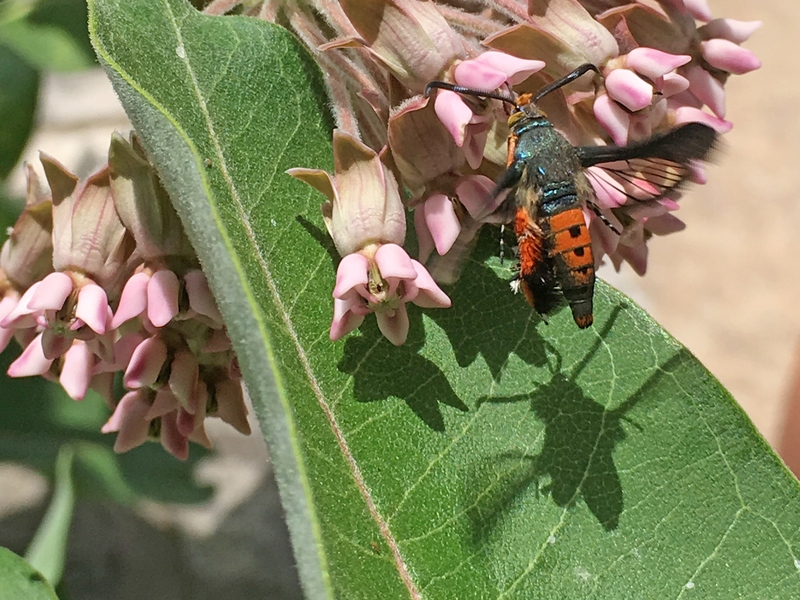 We invite you to help us document these phenological events by recording your observations on a sheet in our Visitor Center entryway. At regular intervals, we will compile these observations and record them onto a large wall-mounted “phenology wheel”. 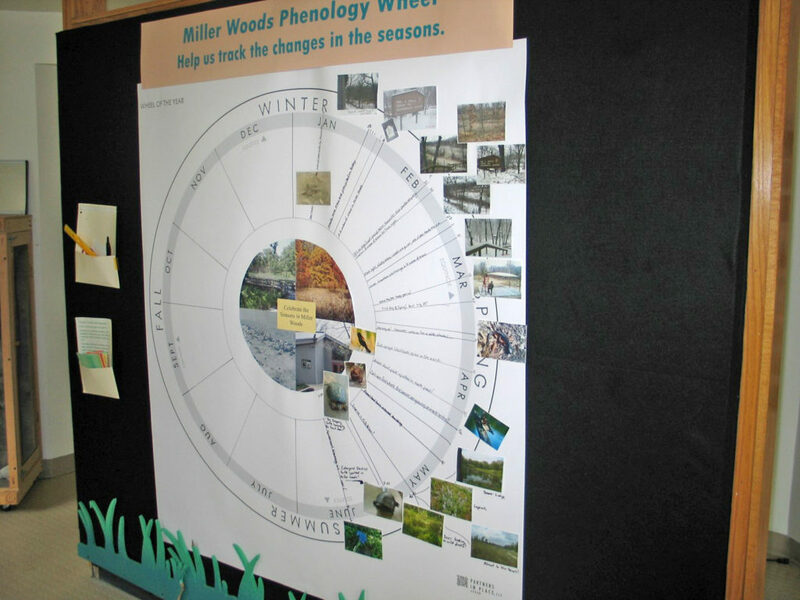 The phenology wheel concept was created by Partners in Place, LLC. 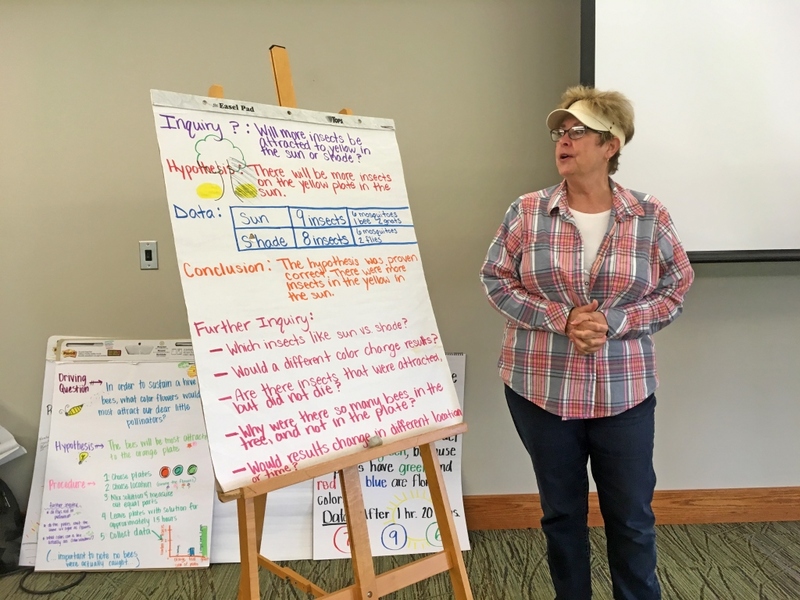 The idea has been promoted to teachers and students through our Earth Partnership for Schools Program here at Dyck Arboretum, and through the Earth Partnership Program founders at University of Wisconsin-Madison Arboretum. 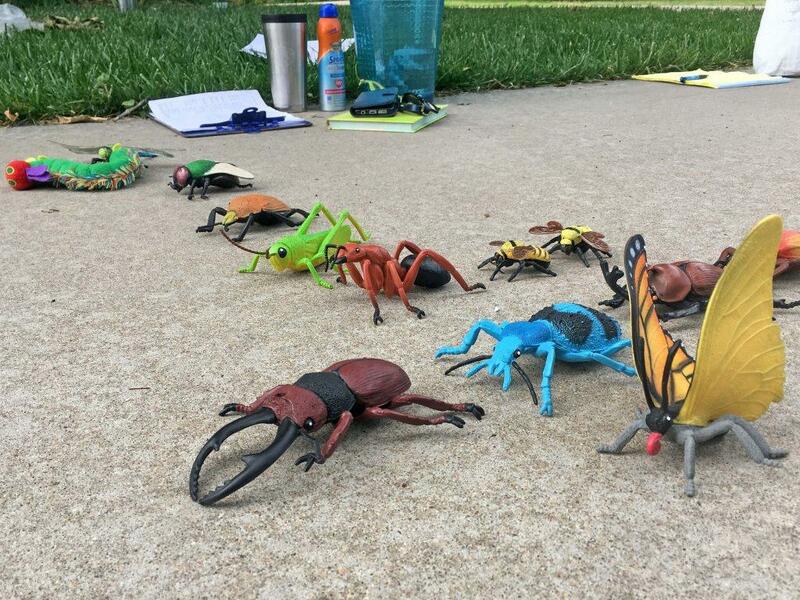 An example of what we have in mind was recently exhibited at the nature center for Indiana Dunes National Lakeshore. 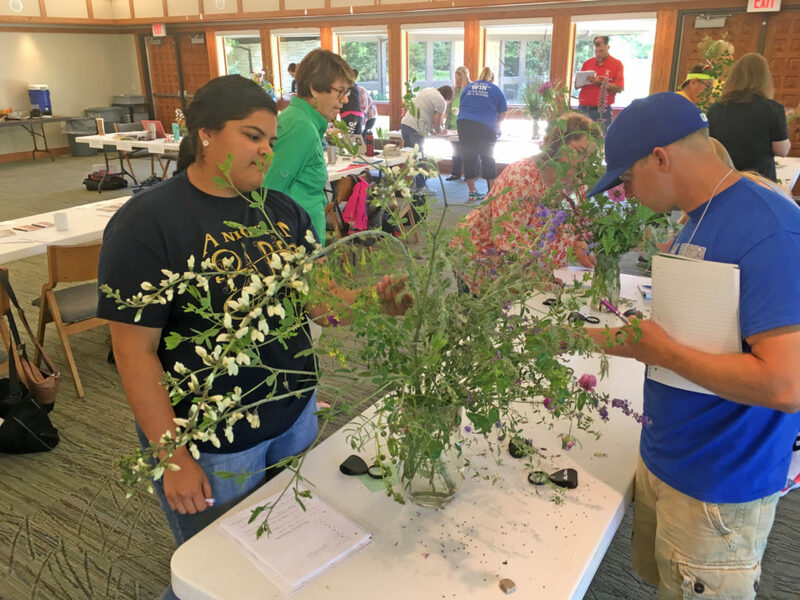 Phenology wheel observations recorded at Miller Woods, Indiana Dunes National Lakeshore. 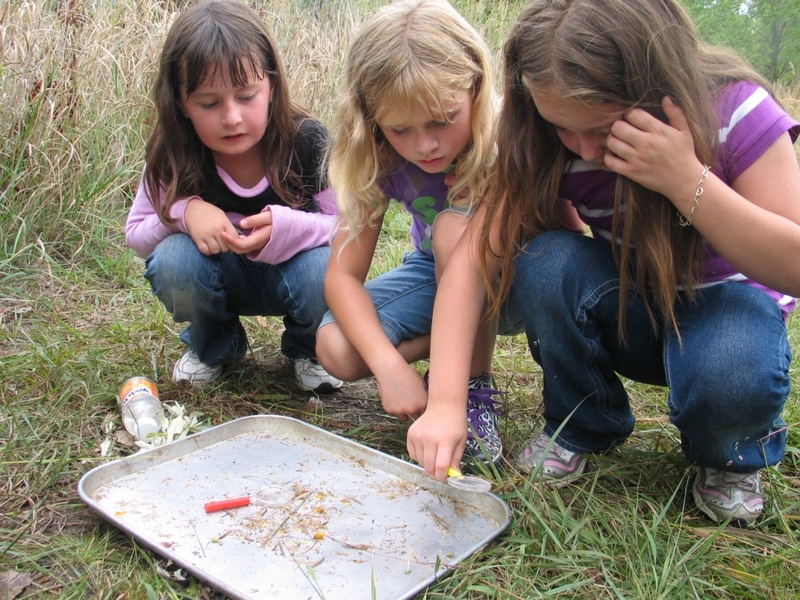 So, help us fill up our very own phenology wheel in 2017 by activating your observational skills and recording your findings at Dyck Arboretum. 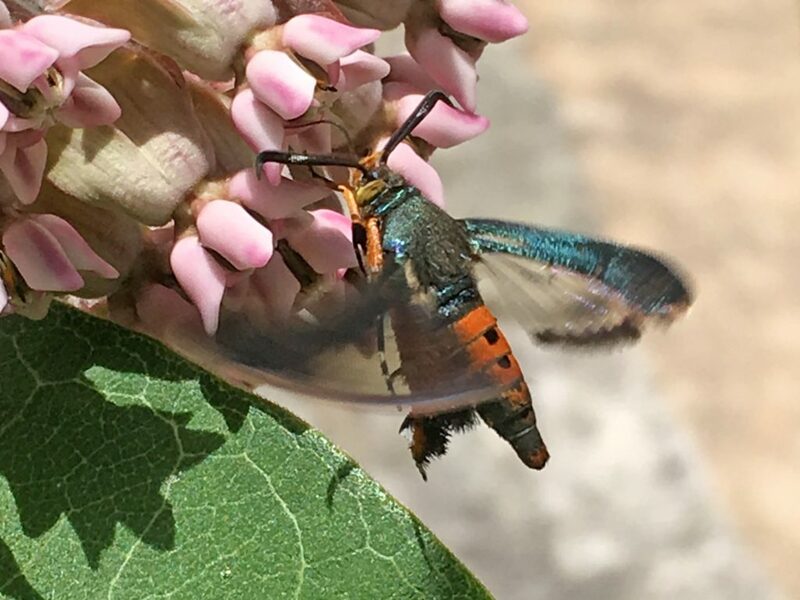 Be observant, take photographs and share them with us, write descriptive notes, make drawings, bring in a leaf or flower if you’d like help with identification, note dates and weather conditions, and educate yourself by engaging with the natural world around you. Through your citizen science observations in 2017 and the display of this Dyck Arboretum phenology wheel, we will all benefit from your findings. 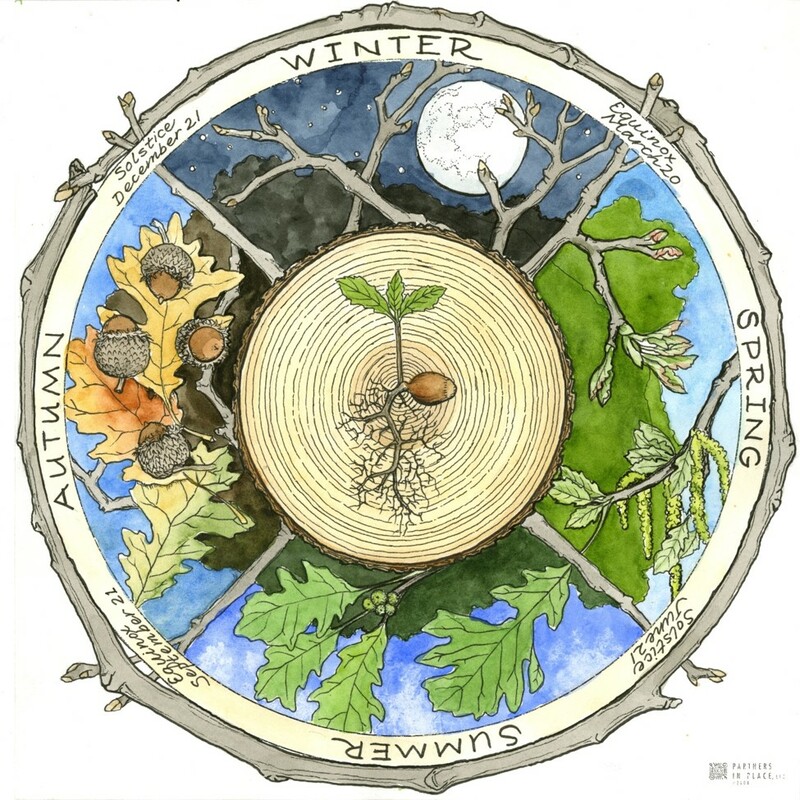 Burr oak through the seasons phenology wheel. 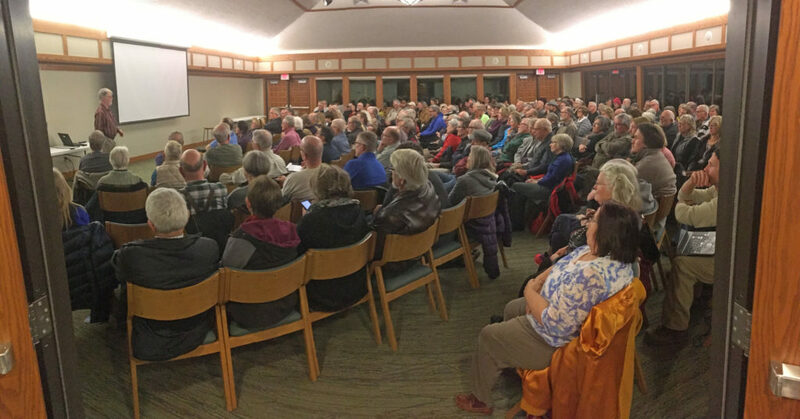 A group gathered at the Dyck Arboretum this past Monday evening to remember all that has been accomplished on this plot of land since 1981 – the plant and wildlife communities that have been established, the beauty that has been added to the community of Hesston, the lives that have been impacted, and the lessons learned. All of these fruits came from a vision, a dream, a notion of what was possible – AND a lot of hard work and determination. And though a 35th anniversary may not seem as notable or momentous as a 25th or a 50th anniversary, this celebration is particularly special to us. 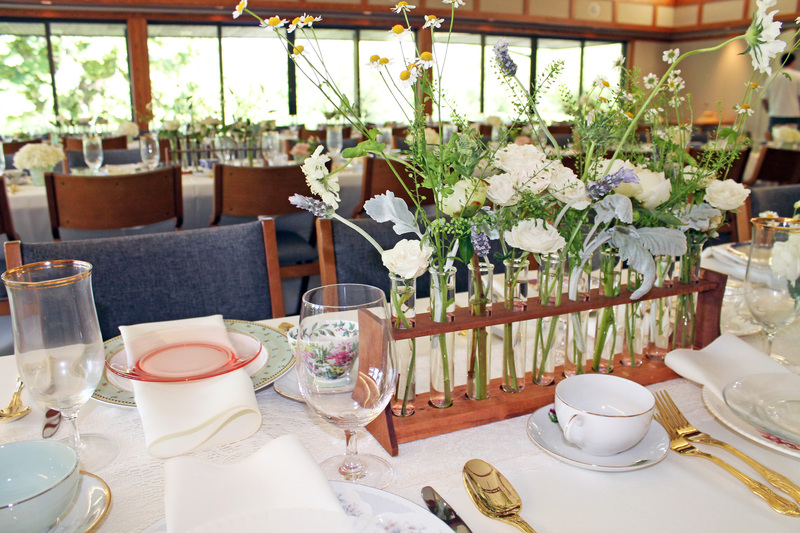 It is the first significant celebration we’ve had without both Harold and Evie Dyck, our founders. 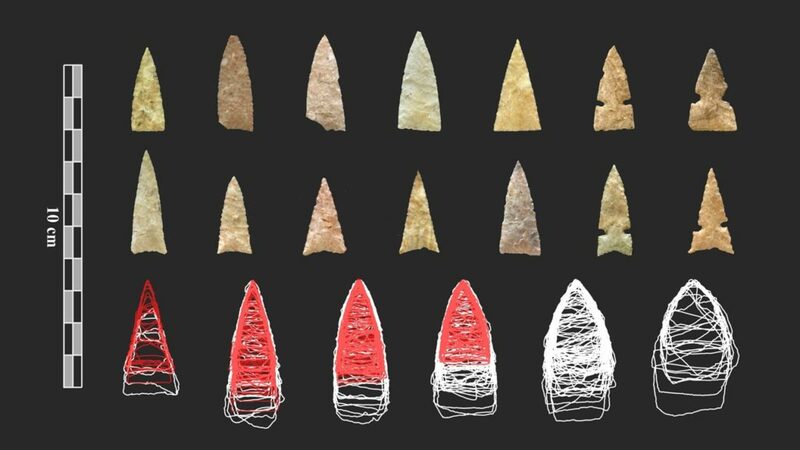 In the past, we’ve had their words and ideas and presence here to help guide us. 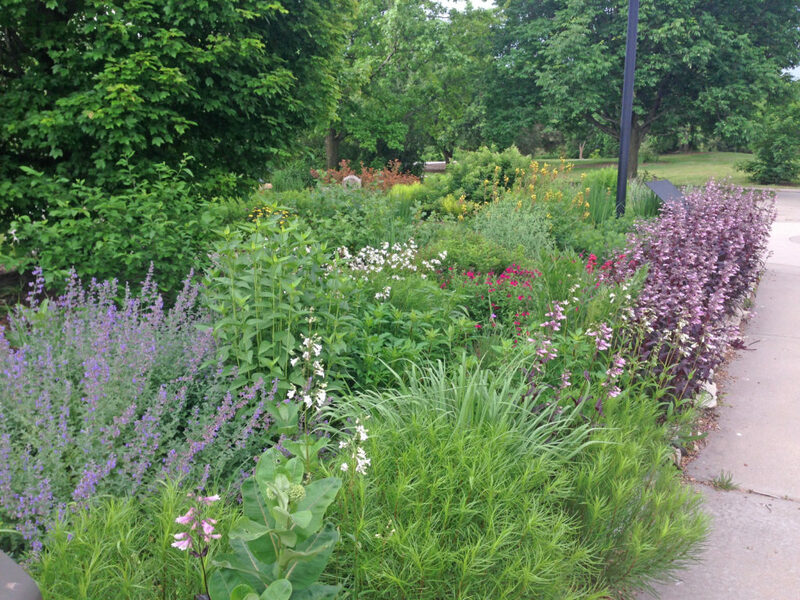 Now we, the Dyck Arboretum staff and board, volunteers, as well as the Dyck family members, continue to realize their vision through our work. 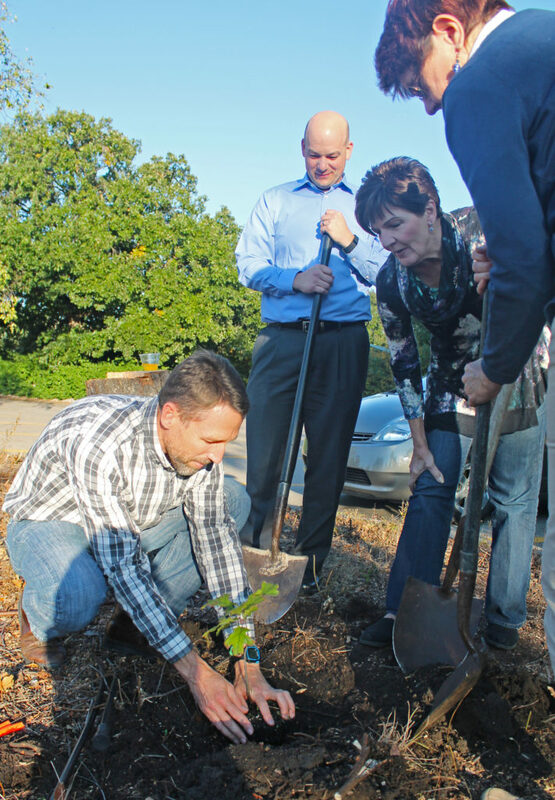 On Monday, October 10, 2016, Arboretum staff and board members planted a black oak sapling in commemoration of the 35th anniversary of the first tree planting at the Dyck Arboretum. That first tree, a bur oak, is shown in the background of this photo. On Monday we learned about the life and work of another visionary. 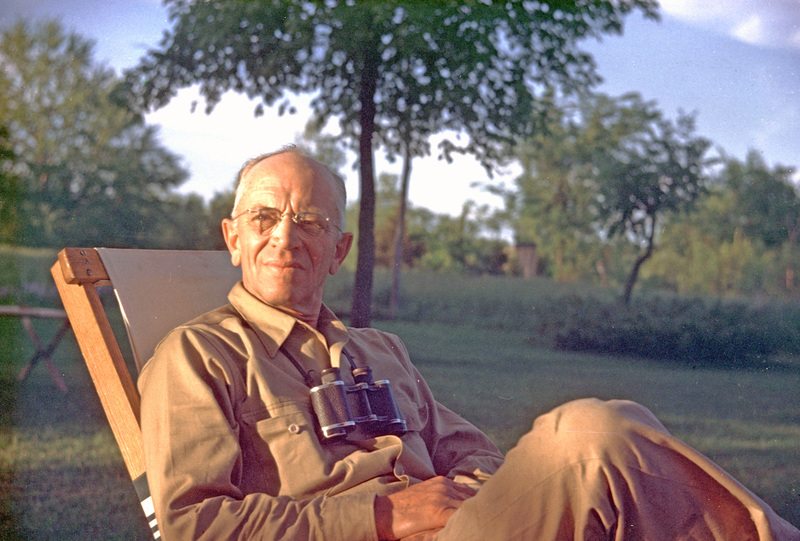 Aldo Leopold, a towering figure in the world of land conservation, devoted his adult life to studying nature, being in wilderness, and documenting what he heard and saw. 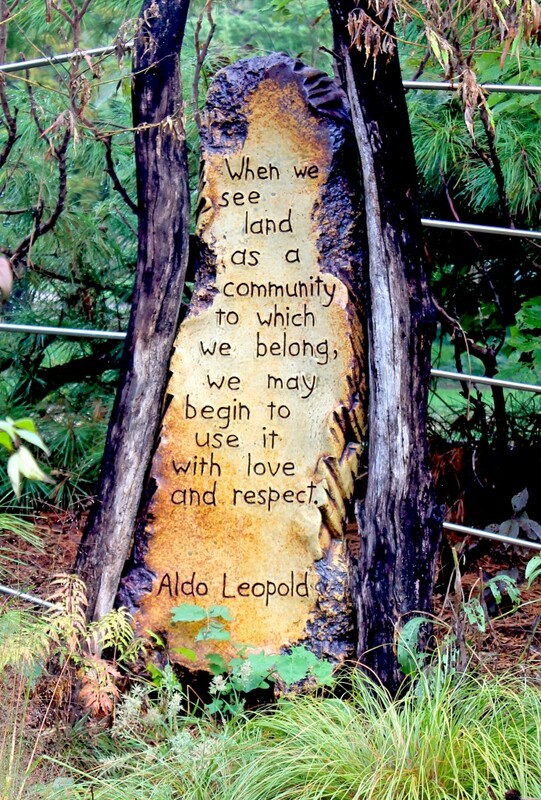 (You may recognize Leopold’s name from several of the sculptures along our walking path.) Most notably, Leopold tended a piece of land with his wife and his five children and restored it to its most natural, most wild, most harmonious state. 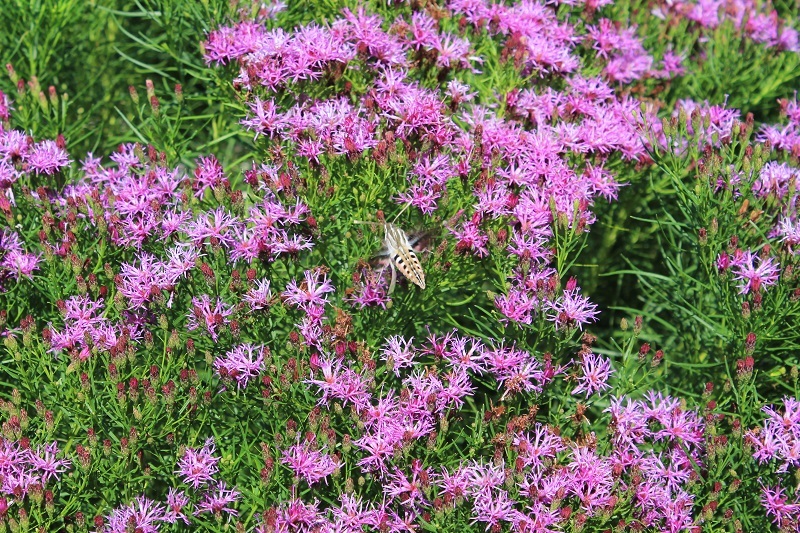 I was particularly amazed to learn that, over the course of several decades, Leopold’s family planted nearly 50,000 trees on their land, restoring a small farm, with deteriorating sandy soil and a scarcity of wildlife, back to wilderness. 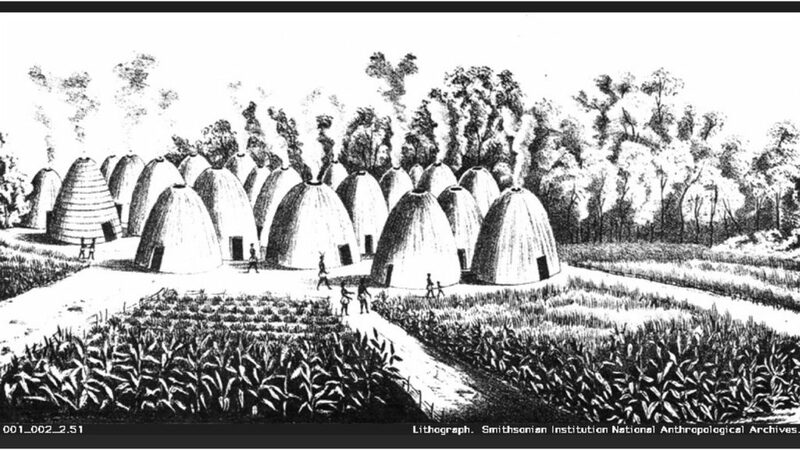 When they first acquired the land, one of the Leopold children shared, it wasn’t much to look at. But as they all began to pitch in and work hard, their father’s vision took hold in each of them. 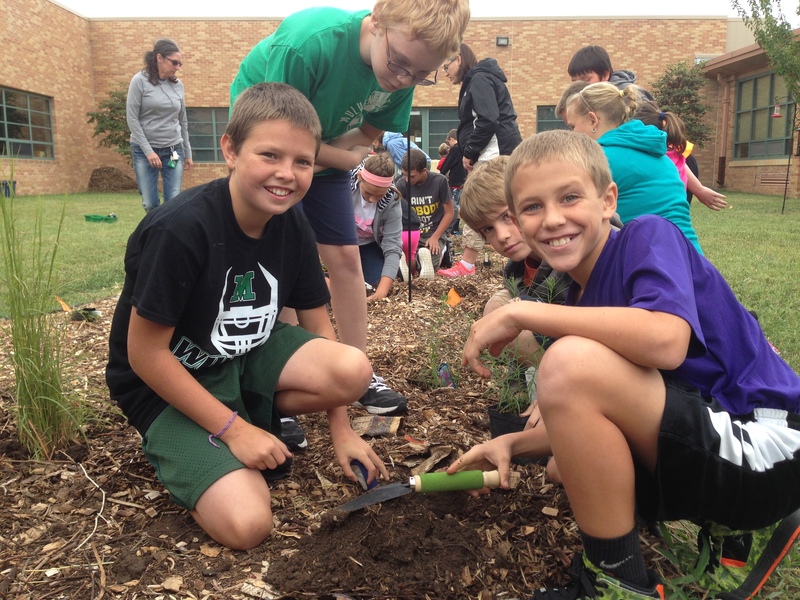 Can you imagine – over a period of sixteen years, they planted 3,000 trees EACH YEAR? They had a vision and dream of what that land could be, but it required commitment and lots of hard work to realize that dream. As a part of the celebration this week, we also planted a tree, a tiny black oak sapling, grown from an acorn that was collected from Leopold’s land in Wisconsin. As we planted this tree not fifty yards away from the first bur oak that was planted here in 1981, it got me thinking about the difference between “vision” and “legacy”. At what point does someone’s vision or dream for the future become their legacy? Is it when that person is no longer living? Is it when certain milestones or goals are reached? Does it happen slowly, over time, with each acorn or seed that is planted or sown, or with each visitor or student who learns something new? Is it when the vision is passed on, capturing the imagination of a new generation? 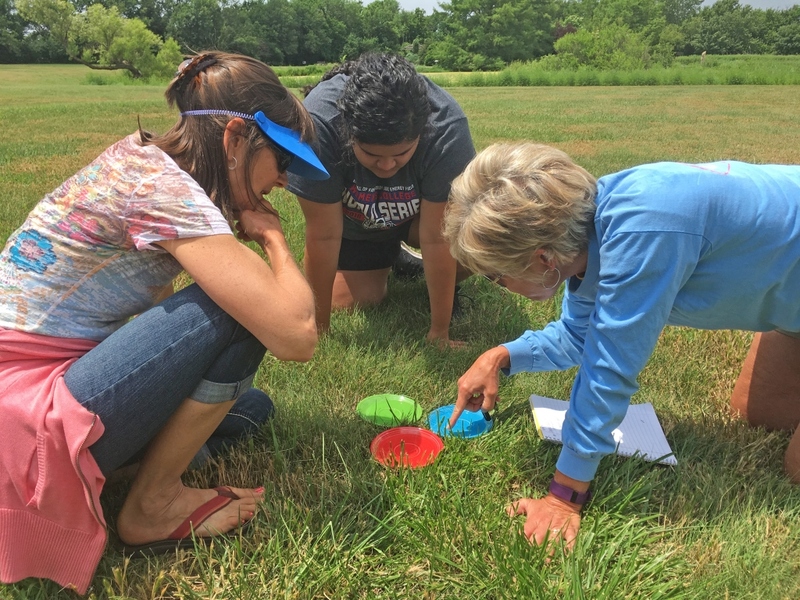 To play on a metaphor we use frequently here at the Arboretum, if planting an acorn represents a vision, what part of a tree’s life cycle represents legacy? Could it be when the tree that grows from the acorn drops seeds of its own? 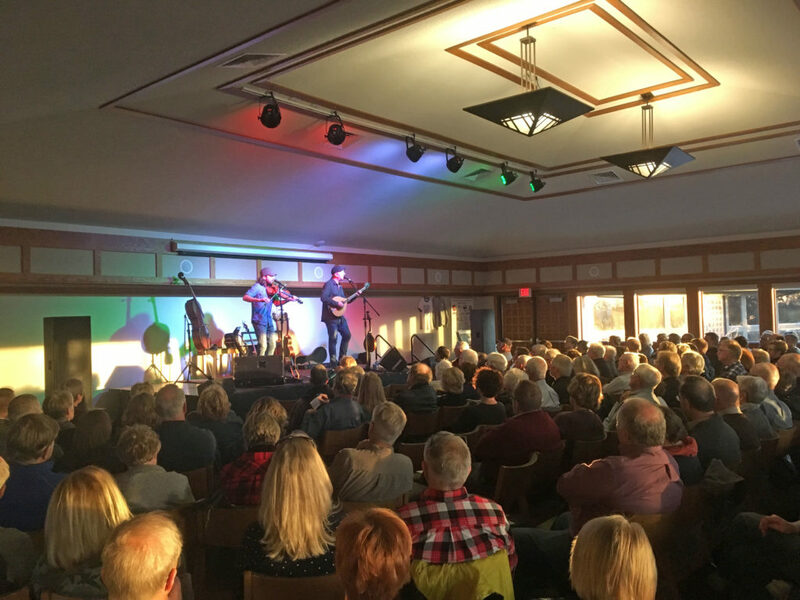 When the Dycks first shared their vision with their family, friends and community members, they didn’t have much to show others to illustrate what they were dreaming of. 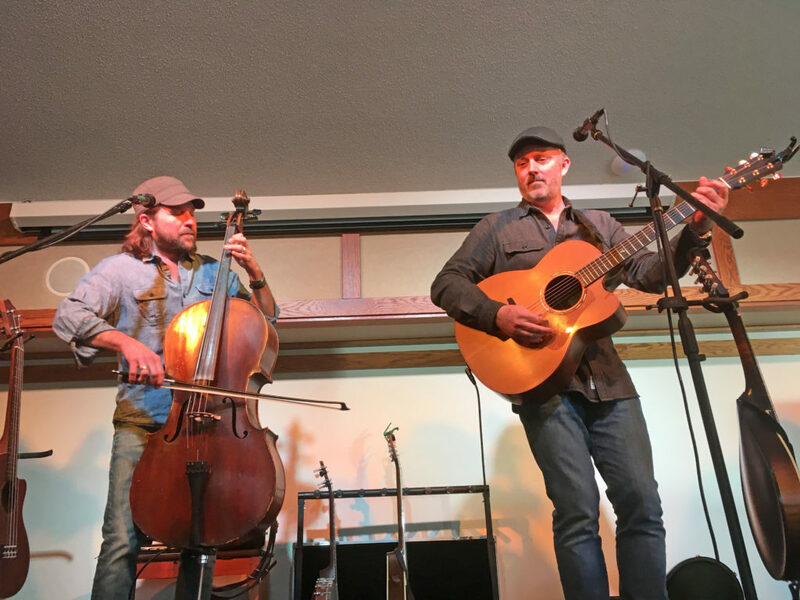 They only had an empty piece of land, once a couple of fields where wheat and alfalfa grew. But they planted that first bur oak tree, and the vision began to spread. That tree is now on the eastern edge of our parking lot. It is easy to miss, but for the many acorns it drops on the pavement in autumn. Many who visit here will not notice it, nor the small plaque at its base that reads “Bur oak, Quercus macrocarpa. 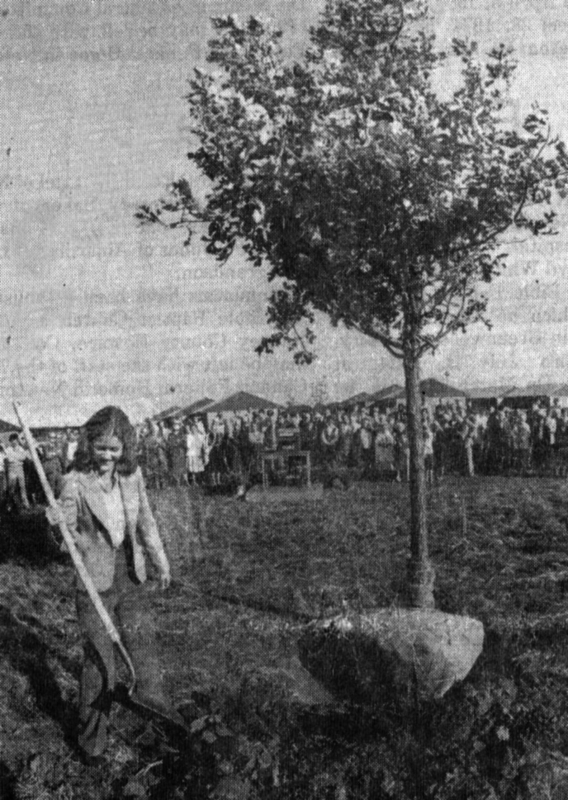 The first tree planted in the Arboretum, October 10, 1981.” It is only one of many trees, shrubs, wildflowers and grasses that have since been planted here, all playing a part in creating a living, breathing, dynamic landscape. Meanwhile, in the median of the parking lot, there now also grows a small “Leopold” black oak sapling, the shade under which our children and grandchildren may take refuge. It is a piece of Leopold’s legacy and a reminder that our work isn’t done yet. 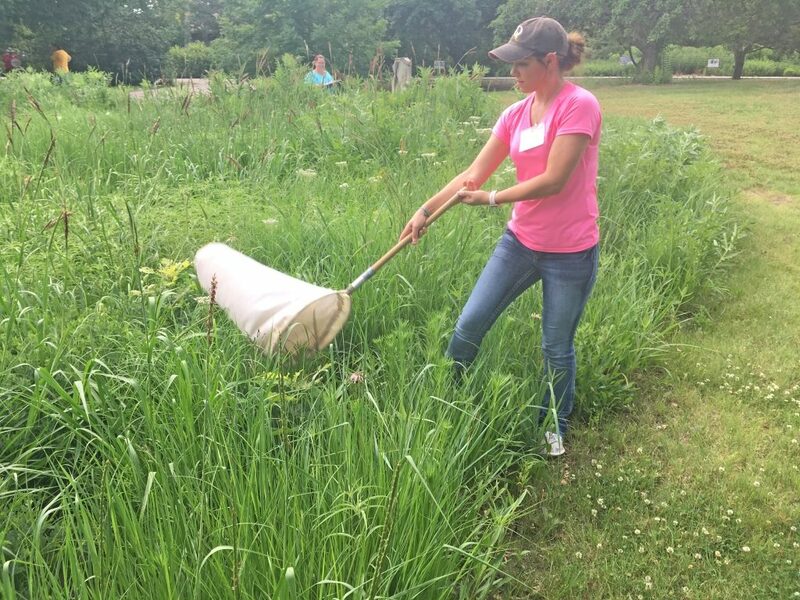 It begins a new legacy for us here at Dyck Arboretum. 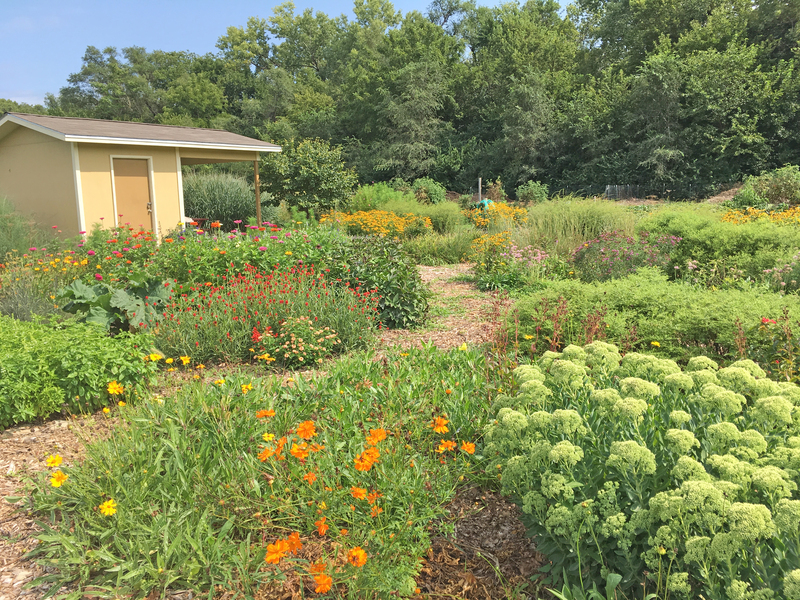 This Arboretum, dedicated with the first tree planting on October 10, 1981, has matured into one of the premier native plant gardens in the country. Julia Dyck, representing the Dyck family, had the honor of the first shovelful of soil around the new Bur Oak tree. October 10, 1981. 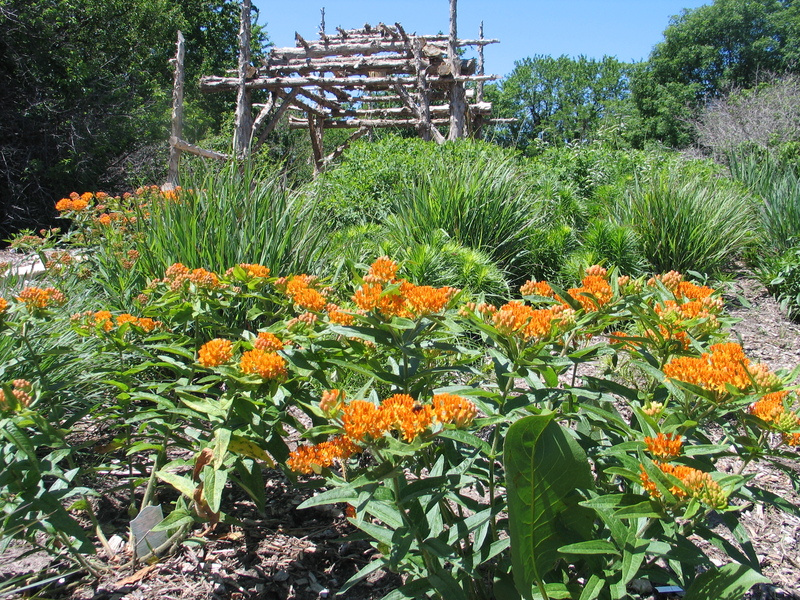 Today, as we celebrate our 35th anniversary, most visitors to the Dyck Arboretum of the Plains never knew Harold or Evie Dyck. That is unfortunate because they were gracious, generous visionaries ahead of their time. 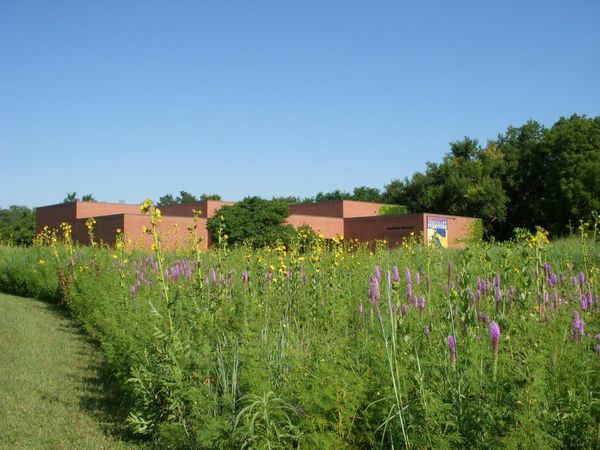 The idea of the Dyck Arboretum of the Plains came about after Harold and Evie visited the Barlett Arboretum in Belle Plaine, Kansas. 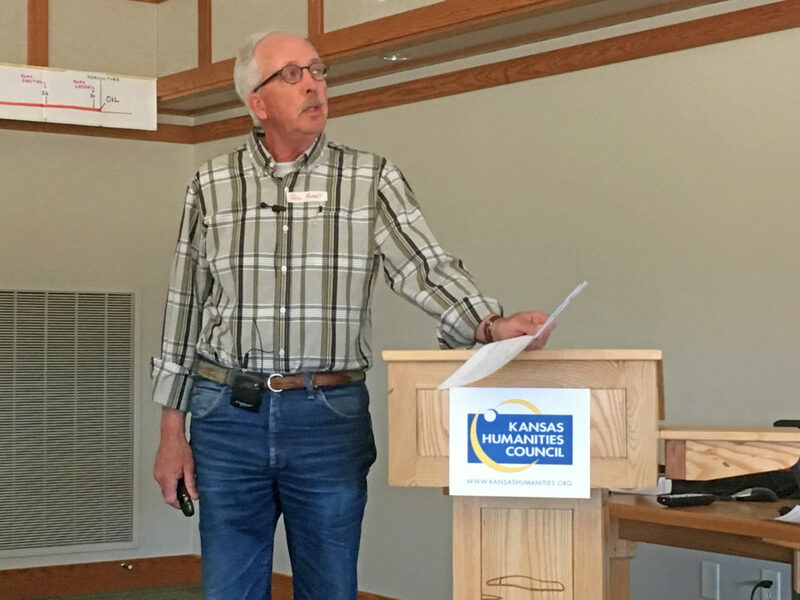 They talked about an Arboretum that would benefit the community, region, and the state of Kansas. 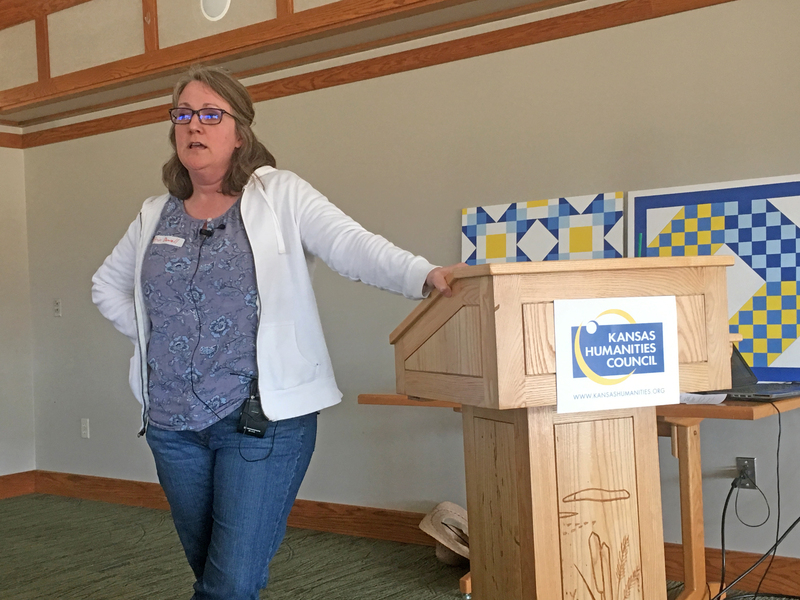 “Even though we have been many places,” explained Evie, “we have always appreciated Kansas. 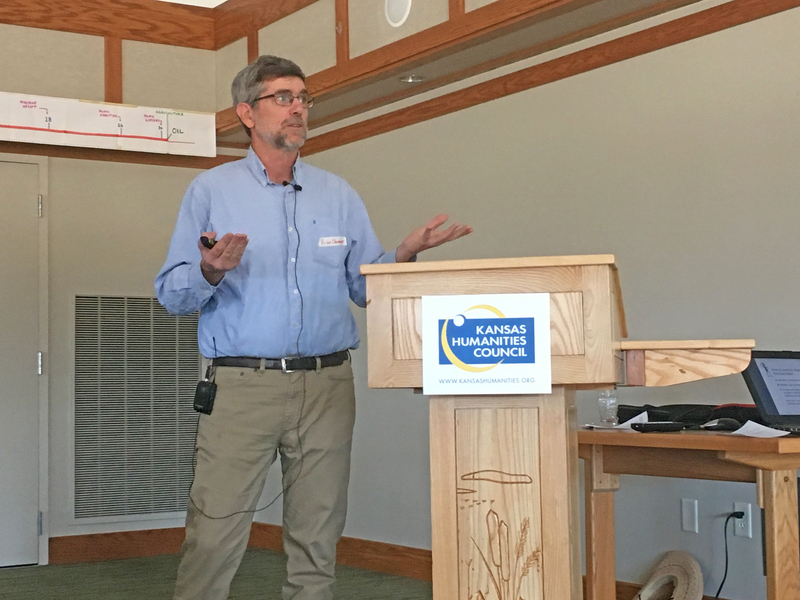 If we develop an arboretum in Kansas, we feel it should reflect the character of Kansas.” They left this place as a legacy for future generations to enjoy. It was their way of saying “Thank You” to the community they lived in and served all their lives. 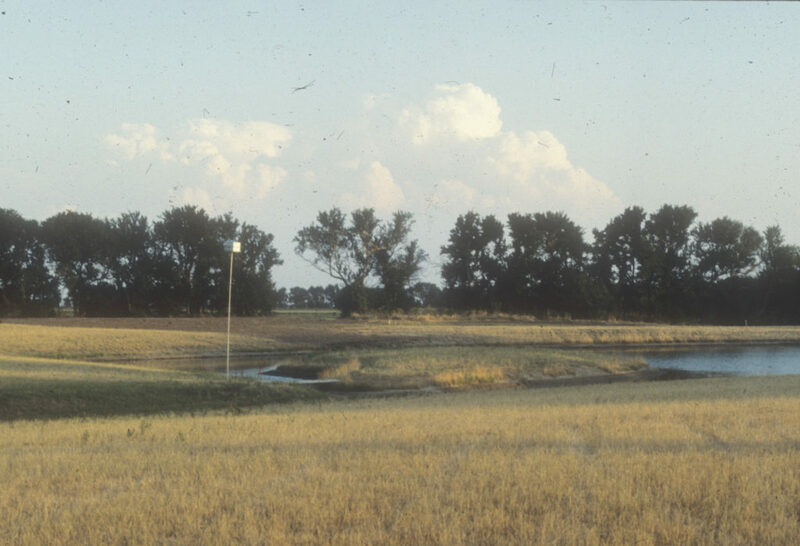 They had a Kansas land ethic. 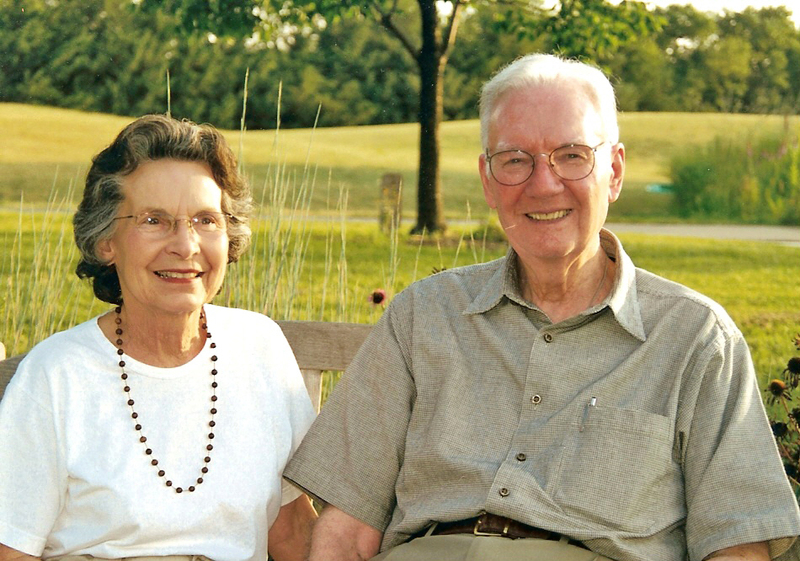 In many ways, the Arboretum has exceeded even Harold and Evie’s expectations and the impact they wanted it to have. 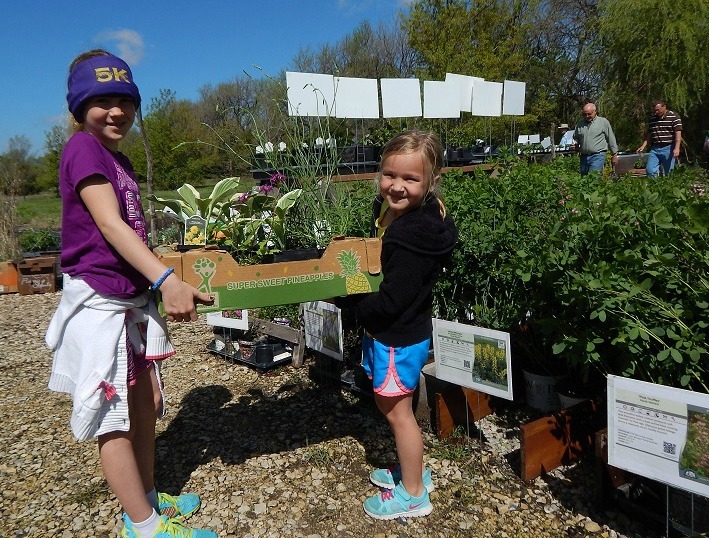 Each year, over 20,000 visitors experience the Arboretum through educational programs, engaging events or interactive discovery. 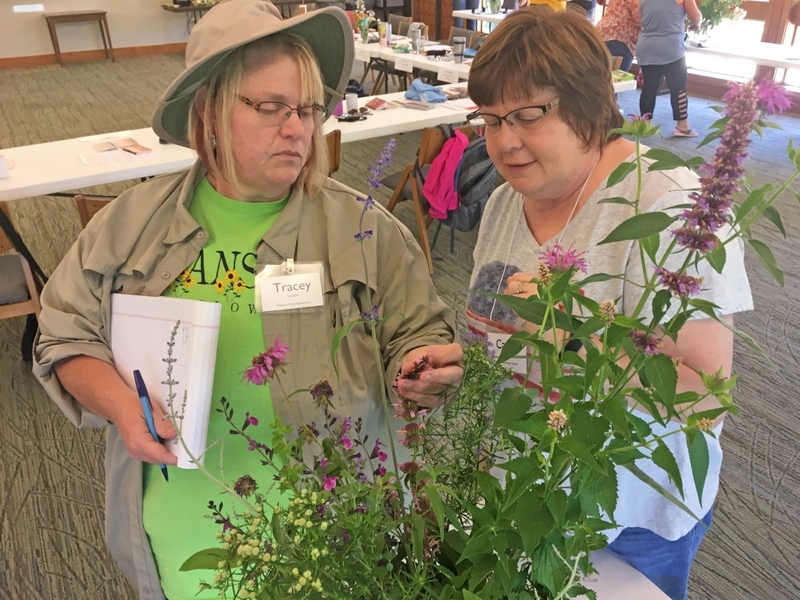 Our mission, “to promote, through education and stewardship, the conservation and use of plants native and adaptable to Kansas,” has become mainstream. The most important component of our mission has always been to connect people to the prairie. 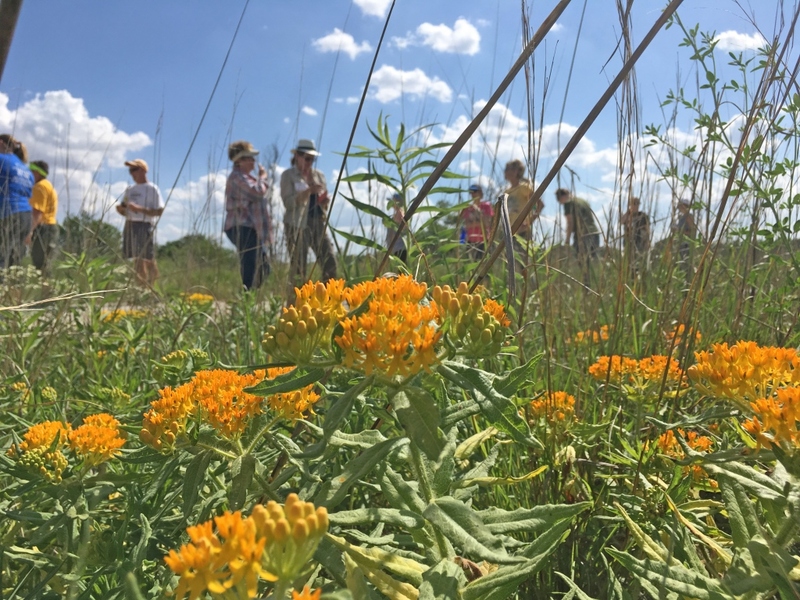 Native landscaping, enhanced biodiversity, and increased awareness of the prairie are important ideas within our mission that guide much of our efforts. 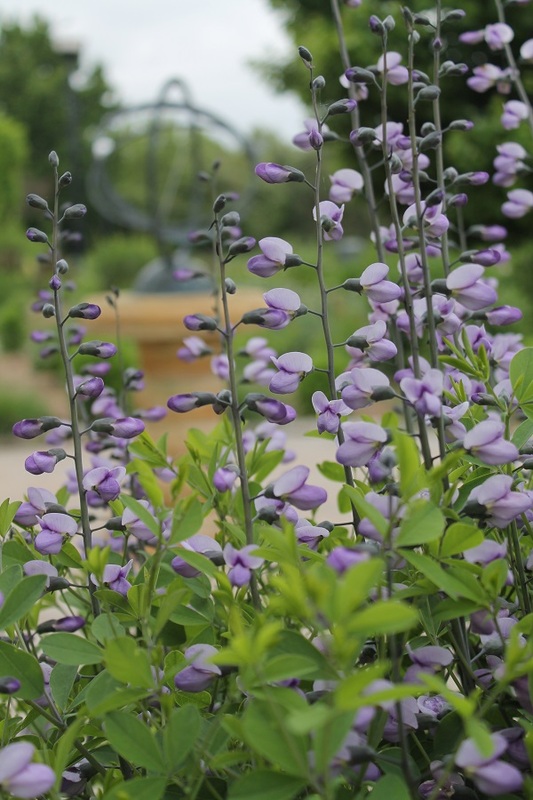 It is our goal to provide a setting where visitors can experience native and adaptable plants in attractive displays. 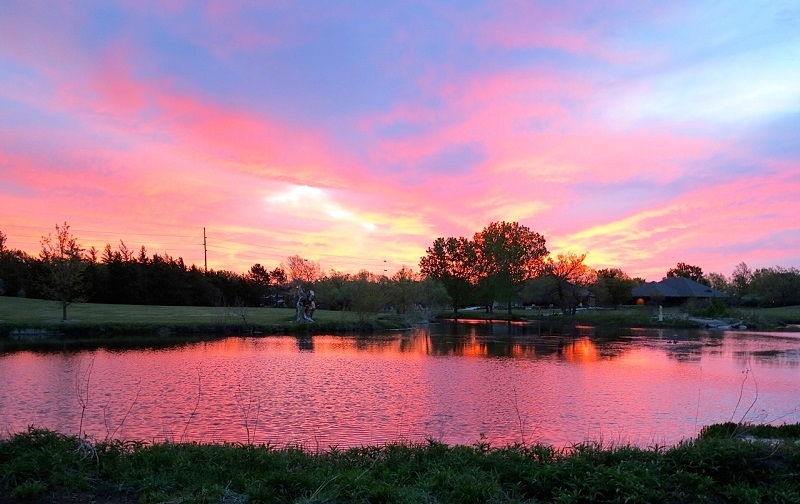 It was Evie’s dream to provide not only a beautiful place for community recreation, but also a place to pause for a little while, enjoy nature and hopefully gain a deeper appreciation of the simple beauty of Kansas. 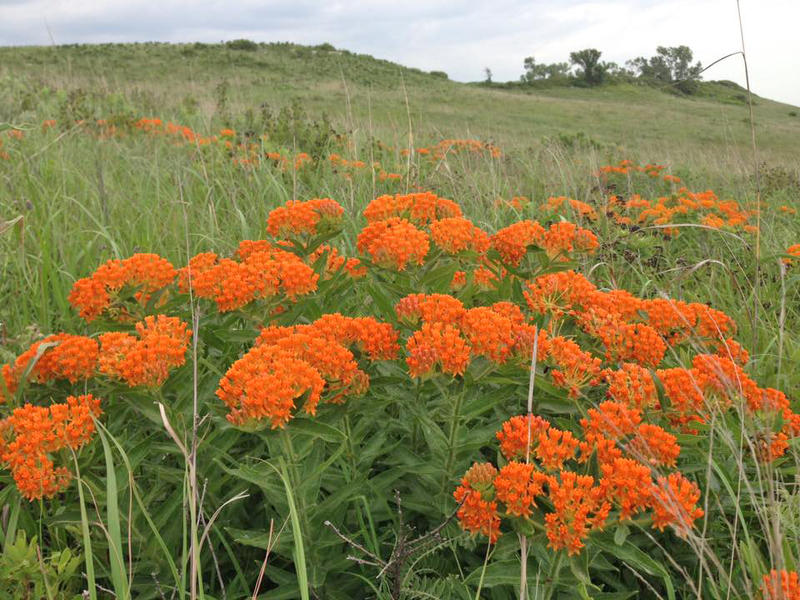 We who live in Hesston often take the Arboretum for granted. It seems as if it has always been here. 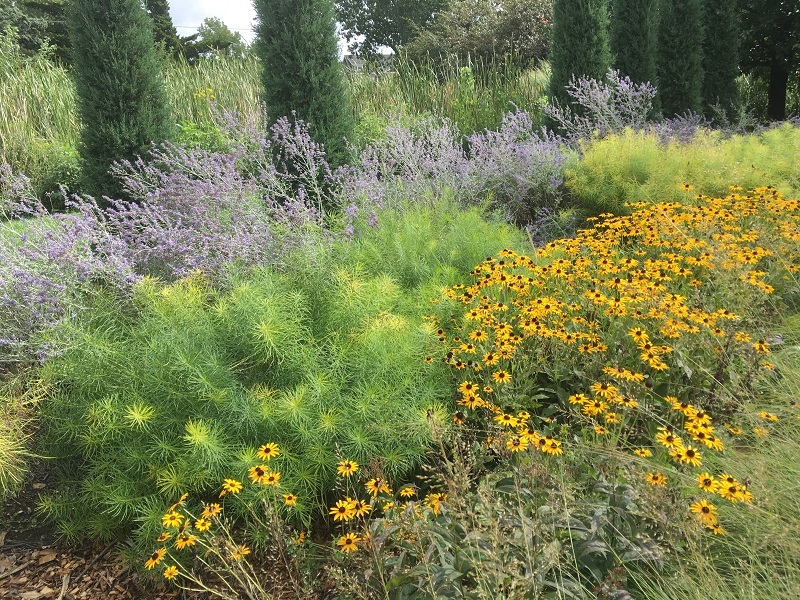 I certainly take for granted being able to work at the Arboretum, and am reminded of this privilege each time I talk with a visitor. There are not too many communities the size of Hesston who have a garden for the citizens to enjoy. 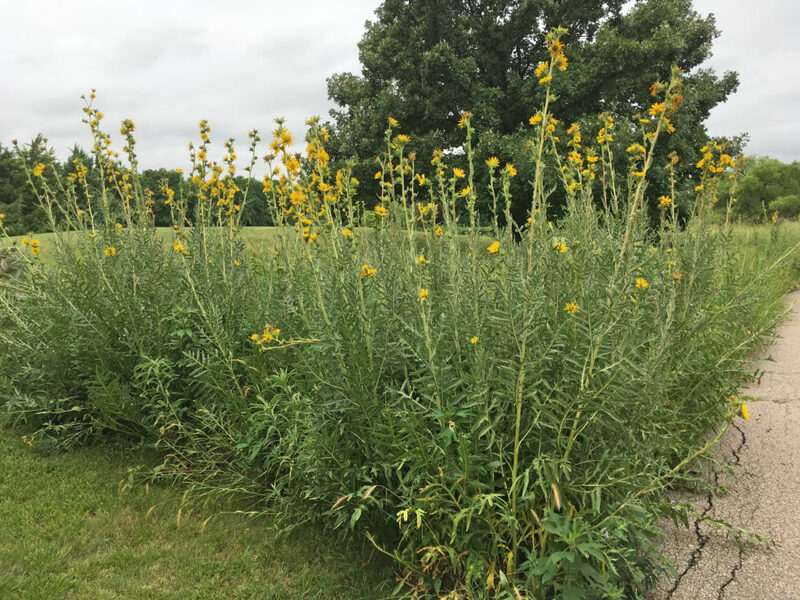 In my short time as director, I have come to realize how vital it is for our success and growth, that those who utilize the Arboretum support us in many different ways. 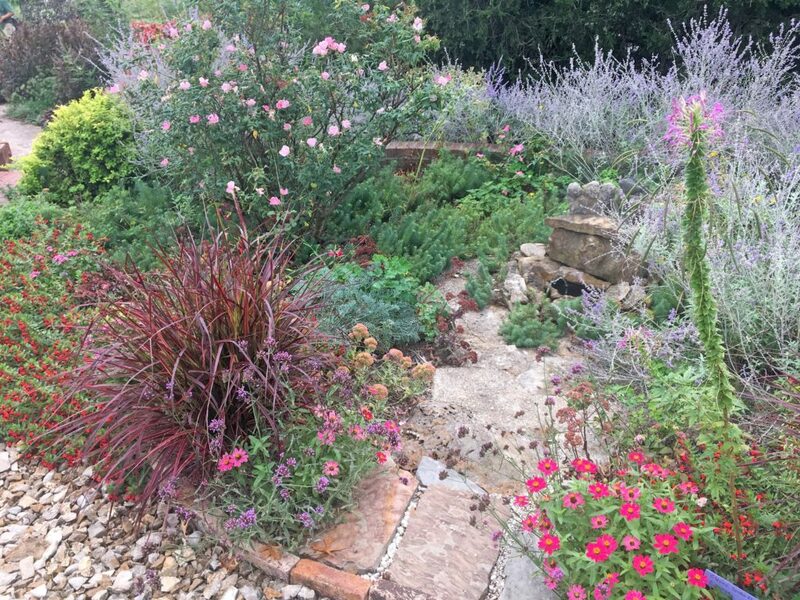 These gardens wouldn’t exist without that original dream and the support of many people who volunteer and give generously each year. 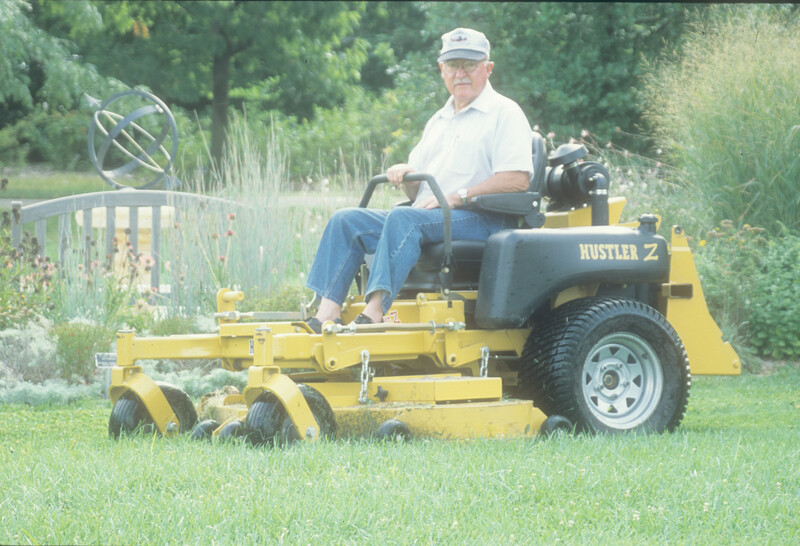 Cliff Bitikofer-Long-time volunteer on new mower donated by Excel Industries, Inc. 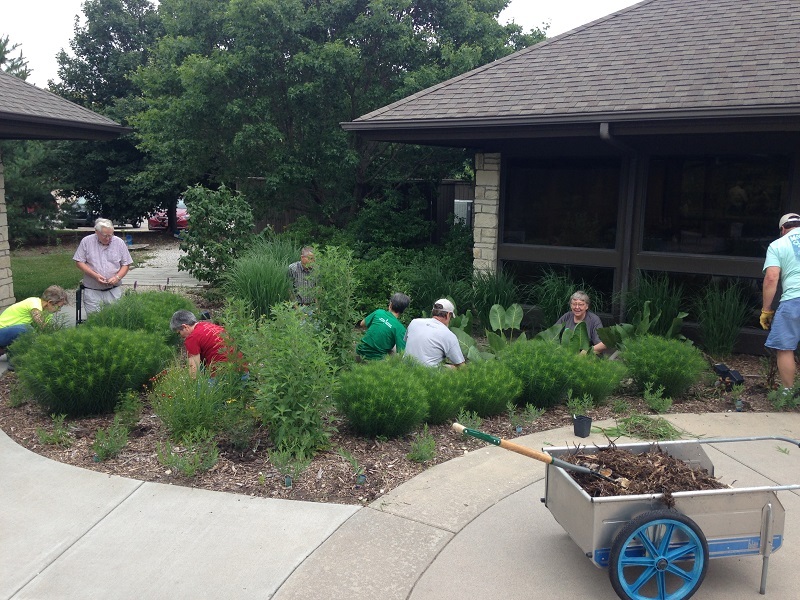 I wish you could hear the stories of people who have come to our plant sales and transform their landscape by using native plants. How others love this place and have seen nothing like it. How they appreciate what we do here and want to support our mission. 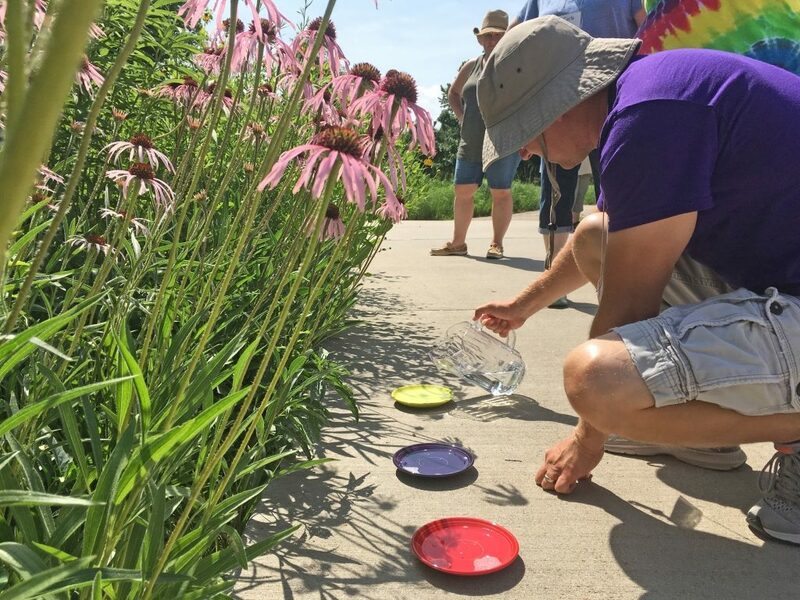 To see extended families, including multiple generations, frequently come through the Visitor Center, walk the grounds, and feed the fish and turtles. I wish you could see the faces of the children and hear the conversations we have with those who are seeing the Arboretum for the first time or rediscovering its beauty. This place is unique and special. 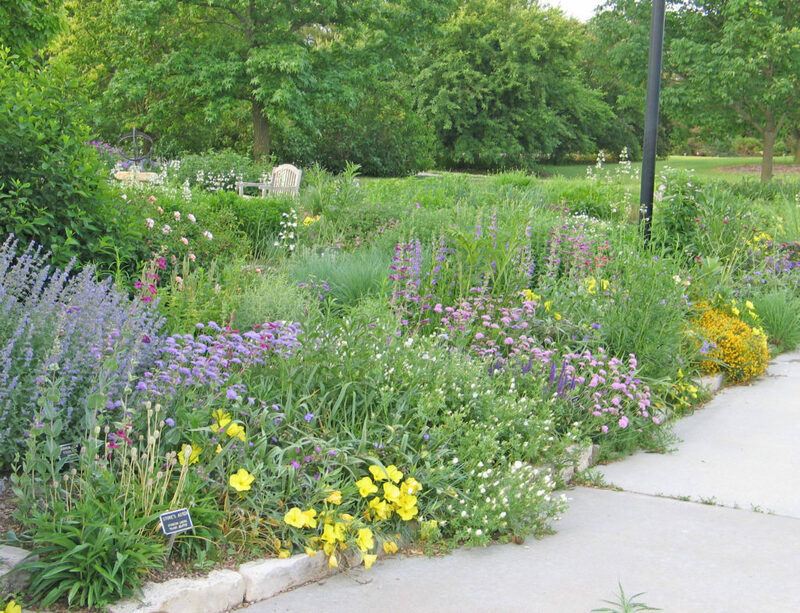 Help us celebrate 35 years of the Dyck Arboretum of the Plains. 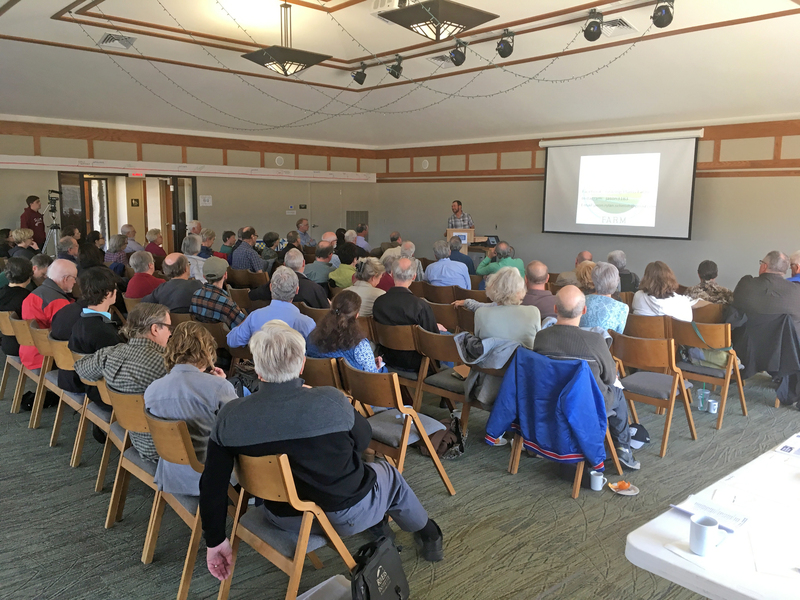 We have many exciting events scheduled over the next year starting with the Anniversary Kick Off on October 10, from 5 to 7 p.m. On that day, there will be a ceremonial oak planting and screening of the documentary Green Fire: Aldo Leopold and a Land Ethic for our Time. 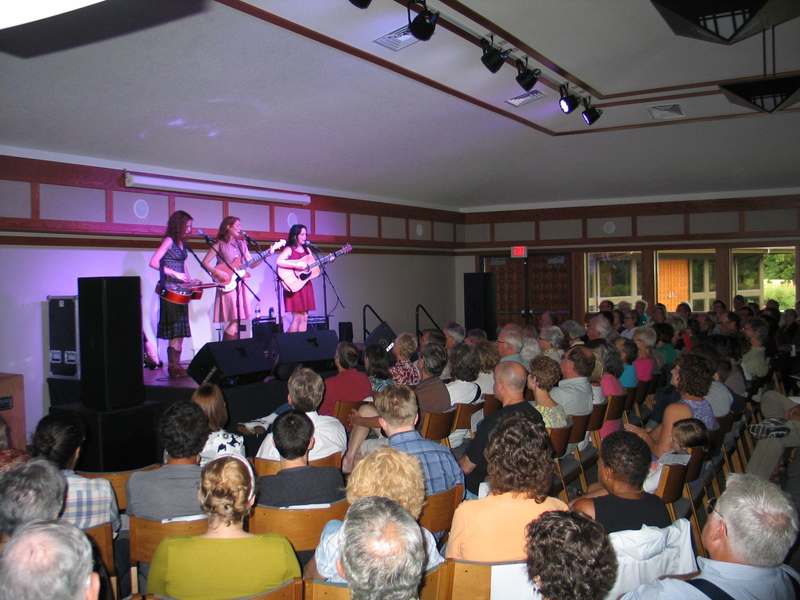 Refreshments will be served during the show. 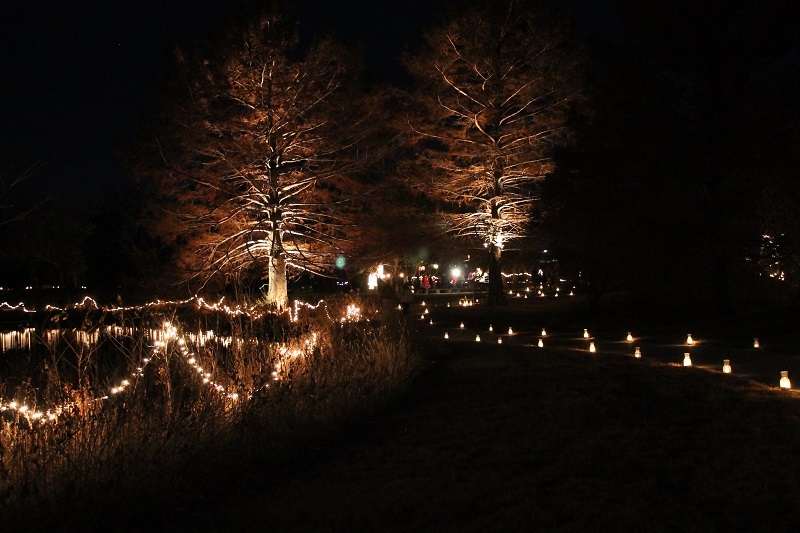 Come enjoy an evening at the Arboretum as we reminisce about the past and look forward to the future. Click here for the full schedule of events.